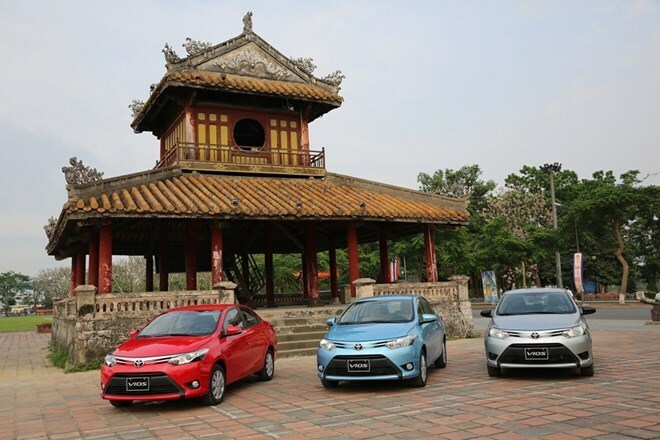 Hanoi (VNA) - Toyota Motor Vietnam Co., Ltd (TMV) sold 4,537 vehicles in April, up nearly 14 percent against the same period last year. In the month, sales of the company’s saloon segment vehicles reached 2,116 units, a year-on-year increase of 2 percent. Of which, the Vios model took the crown with 1,195 cars sold while the Camry model saw 410 units sold. Sales of the commercial line hit 2,421 cars, a climb of 27 percent from the same period last year. Fortuner and Innova models recorded 1,088 and 863 units sold, respectively. Sales of the completely-built-up (CBU) imported cars, distributed by the TMV, reached 675 units, up 58 percent year-on-year. Yaris took the lead with 205 units, followed by Hilux (181 units), Land Prado (121 units), Land Cruiser (100 units) and Hiace (68 units). As many as 152 luxury Lexus units were sold during the month, a skyrocket of 69 percent from last year’s April and up eight percent compared to a month before.